Custom home in "The Hamptons"! Partial brick exterior, beautiful updates, Natural light throughout in this lovely 5 bedrooms and 5 bath John Wieland home. Brand new "popular gray" paint on main floor and beautiful new carpeting in all rooms! Newly remodeled, open kitchen with eat-in breakfast bar, granite counter tops and new, stainless steel appliances. Layout offering a breakfast room and a separate sunroom. Delightful refinished hardwoods on the main level. Guest room on main. Luxury master bedroom with sitting area, walk in closets, sizable bathroom with dual vanities, tile shower and jacuzzi. Oversized, 2 car garage! BASEMENT has billard room, French doors, theater, bath, 1-car garage, shop, and storage. Fenced yard, fire pit and screen porch. Desirable community with pools/playgrounds/tennis courts. 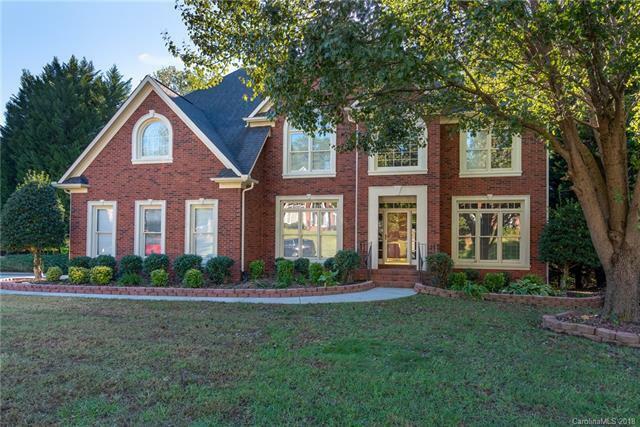 Very convenient location in Huntersville close to shopping, restaurants and I-77.